Amazon Prime has offered globally some of the best and unique content on the digital platform. Recently they launched the first promo of one of their first ever show in India – Inside Edge starring Richa Chadha, Angad Bedi, Vivek Oberoi, Sayani Gupta and others. For the first time for this show, the cast is going to be seen in a completely new avatar. Richa Chadha plays a character of a boss lady who owns a cricket team and the real life cricketer and now an actor Angad Bedi plays the role of a strong cricket team captain. 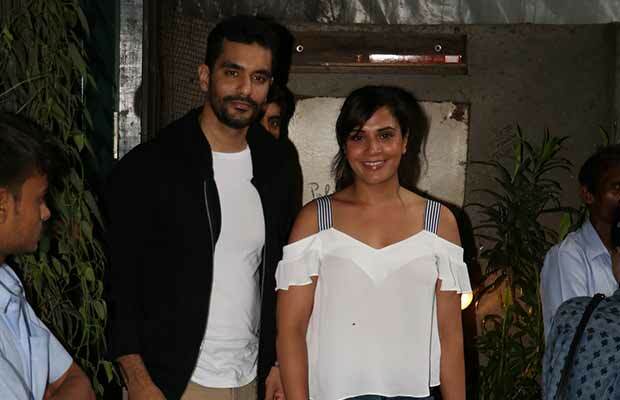 While shooting for this series both Richa Chadha and Angad Bedi became instant friends and would spend several hours off sets bonding and having a good time with the rest of the cast and crew. One thing that the duo bonded most on was over fitness and even now when the show has wrapped up their shoot they are continuing this new found bond of being fit. Previous articleAkshay Kumar Will Not Promote Toilet Ek Prem Katha With Bhumi Pednekar For This Reason? Next articleEkta Kapoor Reveals Why Sakshi Tanwar-Ram Kapoor’s Intimate Scene In Bade Achhe Lagte Hain Was A Mistake!